Even if you consider yourself to be the most careful driver on the planet, you cannot guarantee that you won’t be involved in a car accident at some point or another. When car accidents do happen, they often lead to injuries, both minor and severe. You may find that you have to take care of large medical bills or the cost of ongoing treatments. You may also be unable to work or enjoy your normal hobbies or weekly activities. All in all, a car accident can cause major disruption to your life. We at Alex Hernandez Trial Law, your trusted Texas law firm, know just how much a car accident can affect you and your daily life. We are familiar with the different ways injuries can bring devastating effects to your overall morale and disposition. This is why we offer support to those who have been injured due to the fault of another driver. We believe you should be compensated to make up for all of the pain and suffering you have endured. When you allow us to be your legal advocate, we will do everything we can to ensure you are given the resources to recover successfully. Did you know that there are more than five million car accidents per year in the United States alone? This means that nearly two million drivers and passengers sustain injuries that threaten their ability to work and live their normal lives. Car accidents in general are caused by a number of things. Some of the time, an accident can be chalked up to bad weather, rough road conditions or traffic. However, the majority of the time, car accidents are caused by the carelessness of drivers. This includes when drivers participate in driving behaviors like speeding, not acknowledging traffic signals or driving while they are under the influence of alcohol or drugs. Muscles or tendons have be strained, sprained or torn. Bone fractures are often common, most often in the hips, pelvis, knees or shoulders. Dislocated joints in the hips, pelvis, knees, or shoulders is not uncommon. Deep lacerations that require stitches. Severe burns or abrasions caused from road burn. Injuries to both the neck and the back. This can include herniated disks or damage to the spinal cord. Head injuries like concussions, traumatic brain injuries or skull fractures. Any of these injuries have the capability of causing permanent damage and reducing the individual’s quality of life. This also can cause a major disruption to those family members of the victim, as they may have to take care of the person after they have sustained their injury. Should You Call The Law Offices of Alex Hernandez, Jr. For Help? When you are involved in a car accident, the recovery includes much more than replacing or fixing your vehicle. This is especially true if you have sustained an injury that prevents you from being able to work. If you are going through something like this, you should not hesitate to let the expert team at our Corpus Christi law office help you. But what exactly can we help with? If you have found yourself financially unstable since your car accident due to an injury that is preventing you from working, this lack of money could end up causing your family problems for many years to come. That is why it is important that you allow an attorney at our law office to assist you in seeking compensation for the wages you have lost since your accident. This will also include us fighting to get you any additional money you would have made in the future had you not suffered your injuries in the crash. We will do everything we can to get you the compensation you deserve after your accident. We will work with the insurance company to get you a settlement that covers the losses you have suffered and will continue to suffer. In certain cases, we may even be able to file a personal injury lawsuit against the driver that was in the other vehicle if he/she was at fault. 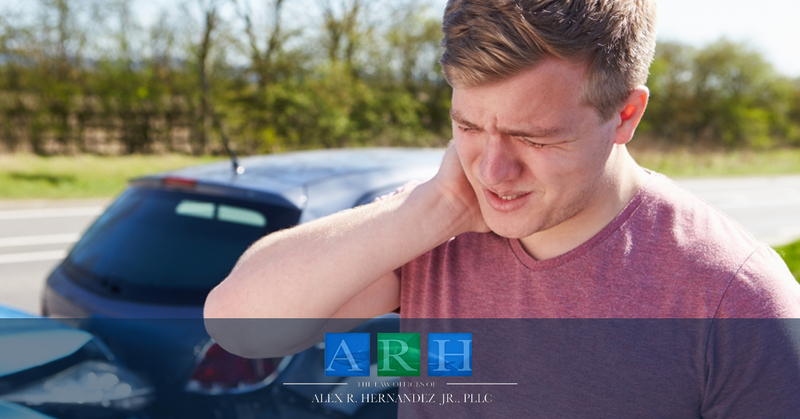 If you were recently injured in a car accident and you need to help of an experienced personal injury lawyer, contact the Law Offices of Alex Hernandez, Jr. today. With years of experience aiding those who live in the Corpus Christi area, as well as many other parts of Texas, we know how to get the results you are hoping for. Our talented attorneys will do everything we can to get you the compensation you deserve.